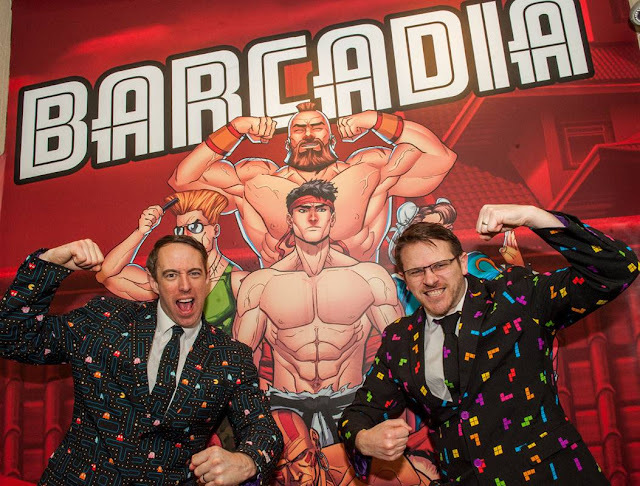 Food and games galore at the official launch last week of Barcadia, the stylish retro arcade space, with kitchen and bar, within the Mardyke complex. 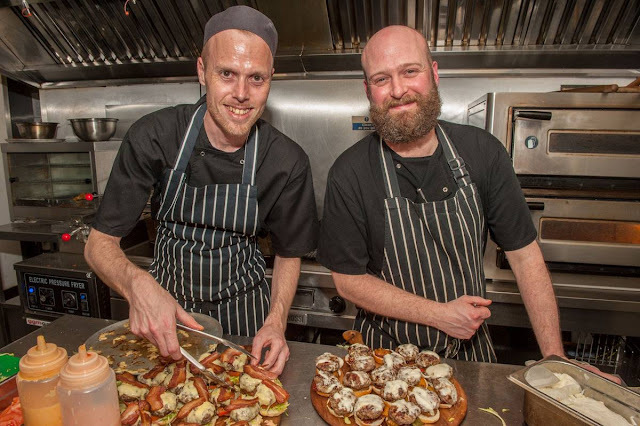 The brainchild of entertainers Colm Lougheed and Patrick Ahern, Barcadia joins the ranks of three other venues, Holy Smoke BBQ restaurant, Woolshed Baa and Grill, and Mardyke Bowl within the complex (built in the 1870s as a drinks warehouse). There has been a three month run-in to the launch as the pair were operating Barcadia on a trial basis, checking the complex, tweaking the machines, and listening to the customer feedback before bringing out the trumpets last Thursday. One of the first things that catches your attention as you enter is the large-scale Street Fighter mural drawn by Marvel artist Will Sliney, the background for many photos on launch night. Will is well-known by now around Cork, Ireland and the international comic book scene. 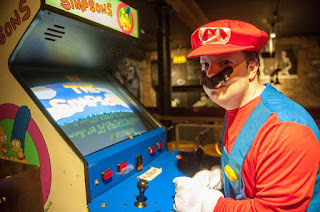 “Interestingly enough, back in the Mardyke (M2), we had many of the very same arcade machines which we have now re-imported and lovingly restored to their original state,” said Eddie Nicholson, MD of the Mardyke Entertainment Complex. Those who were customers in the late 90s might remember a different arcade on this same spot. Then the Woolshed was a jungle gym and Holy Smoke was a Q-Zar laser tag space. Some of the arcade games that featured in the Mardyke are back and they are searching for others. In the meantime, get shooting with Point Blank, Time Crisis 2 and House of the Dead 4. “From the golden age of video games” come Pac Man, Defender, Tetris, Galaxian, Centipede, Asteroids and, of course, Space Invaders! Like to race? Then check out Daytona USA 2, Mario Kart GP 2, and Outrun SP 2. Lots of Fight games too. Looking for a bit of exercise? Start with Pinball perhaps, then move up a gear to Fussball, Shuffleboard games and a bit of Basketball. Even Ping Pong. 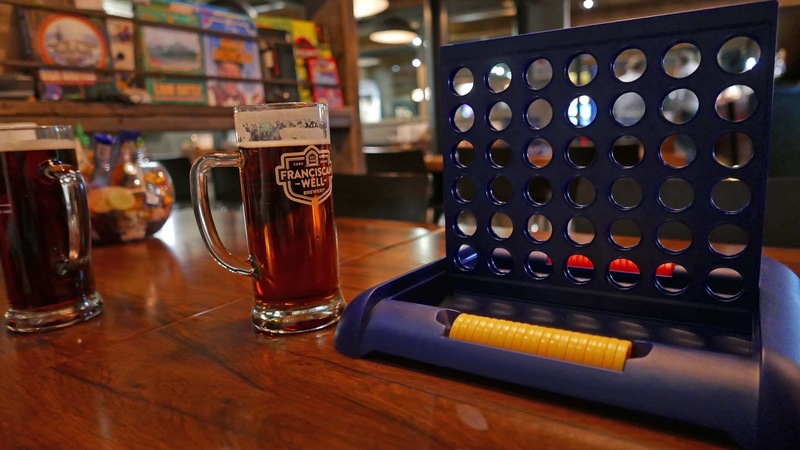 And if you need to take it easy after all that, then try a table top game, like Buckaroo or Connect, Operation, Chutes and Ladders (St Patrick got rid of the snakes), Trivial Pursuit, Cluedo, Boggle and so many more. As well as the gaming classics, Barcadia features a solid food menu (with Holy Smoke chef Decky Walsh leading the team). 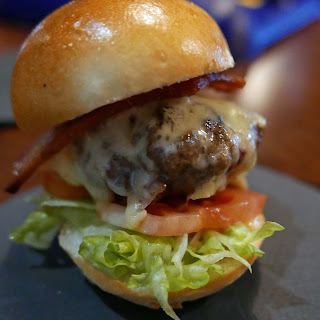 The focus is on homemade pizzas, themed burgers, Southern Fried Chicken (“with a subtle nod to the three fast food restaurant chains in the Grand Theft Auto universe”). 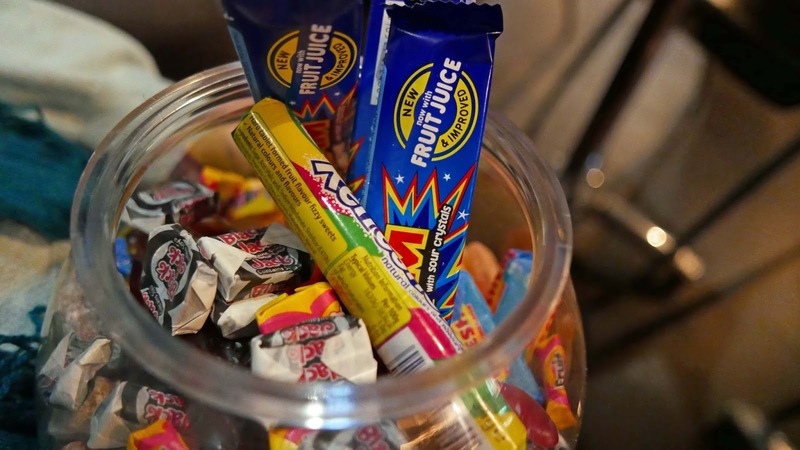 Sweet treats too to keep those energy levels up. All were on offer on launch night and all (check out those battered onion rings and those mozzarella sticks too) were very enjoyable indeed. There is a full bar there also, featuring some real good beer. I enjoyed a couple of pints of Franciscan Well Chieftain and noticed that Yellow Belly’s Kellerbier is guesting there at present. Cans include Brooklyn Brewery and Brewdog. There is quite a range of cocktails with appropriate titles such as Princess Peach, Donkey Kong, Pac Man, Street Fighter and Super Mario. Cheers! Barcadia is open till late every weekday from 4.30pm and from 12.00pm on the weekends.